Snooker Scene contains information on the list of world ranking, tournament results, information about coaches, Letters to the editor column and some important addresses. Some other sections keep on adding in newer editions. It gives an insight into the world of snooker and provides you the latest news and views about any new game and the results of all the tournaments that are going on worldwide. The interviews of renowned and budding stars are given in a special section. All information about billiards and pool is explained using simple words and terms. It has been in the market for 41 years and covers all the games and gives you a look into the world of balls and baize. It gives a draft of the ongoing game industry every month. 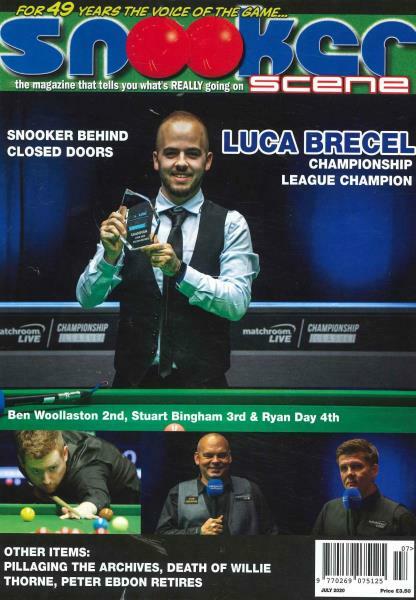 Snooker Scene magazine gives report on all the important action on and off the table in the world of snooker and billiards and is increasing the coverage by including the international stories. The main concepts are of tournament coverage, stories and biographies of important and growing players in the snooker world. The expedition against discrimination in the sport is governed by the special bodies if the game does not serve what it should.